Sint-Maartenszee attractiv in all seasons! Sint-Maartenszee is attractive in all seasons! If you like the peace and quiet of nature, or if you prefer an active holiday on the beach, Sint-Maartenszee is the place to be! 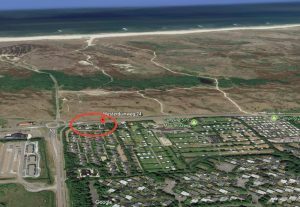 Pieter Houdewind offers holiday-villas and bungalows in an A1 location in Sint-Maartenszee. The houses are situated right opposite the entrance to the beach of Sint-Maartenszee. 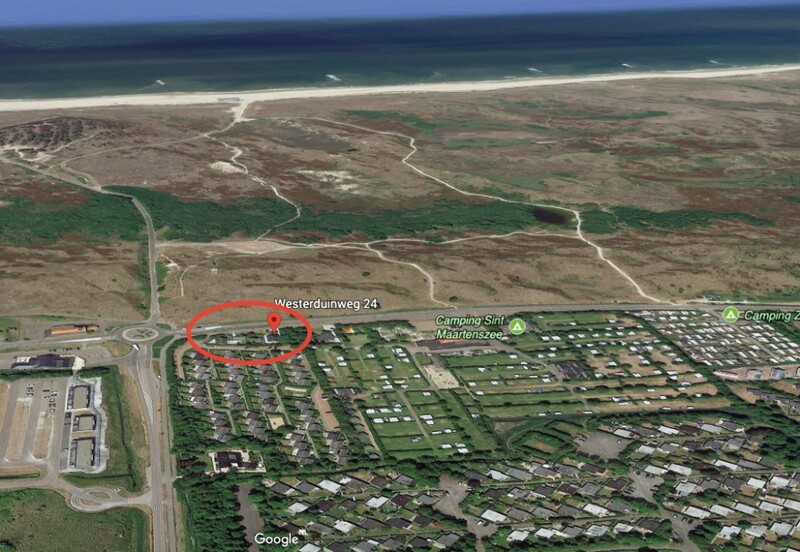 This Google Earth picture shows you the path that leads to the beach, the dunes and the North Sea, and within the red circle, you find the four holiday-houses. If you touch the name of the above houses you will be given more details. If you need additional information, you can contact me.